Isn’t this stylish? Don’t forget to drill some drain holes! 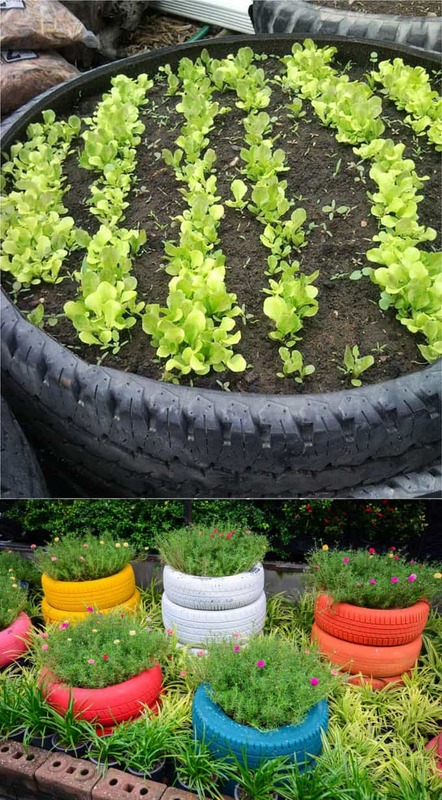 An used tire can become an instant raised bed garden. These painted tires are so cheerful and pretty! 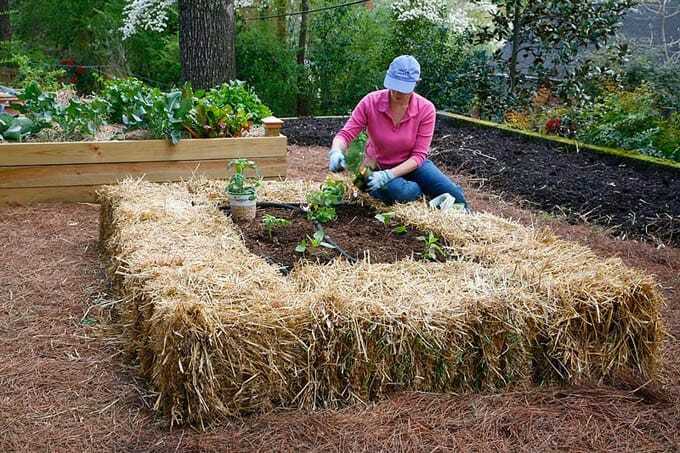 There are two ways to create raised beds with straw bales. The one above uses straw bales as a border. The method below uses straw bales as vessel and growing medium to grow a productive raised bed vegetable garden. The pioneer of this method, Joel Karsten, wrote an excellent book – Straw Bale Gardens Complete , which gives all the details on straw bale gardening. Below is a video on how it works. 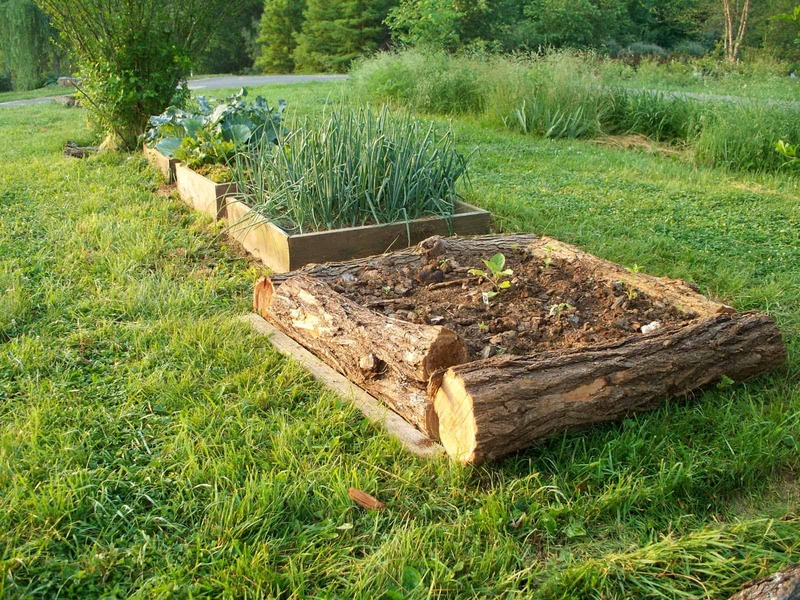 If you have been thinking about starting a garden, I think a raised bed garden is a great way to go! 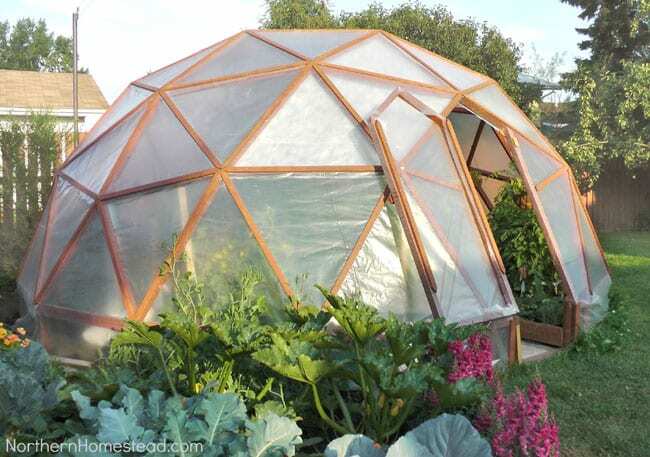 And 21 DIY greenhouses with great tutorials. 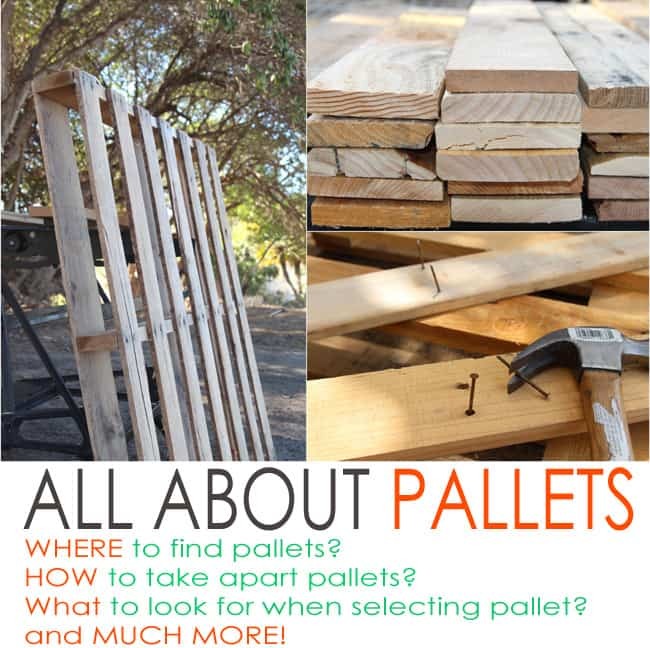 Or this article on how to find, select and build with pallets! I want to try these raised beds for tomoatoes, peppers, and maybe some strawberries. I’m pinning this, it’s a great tutorial. Thanks for sharing! I combined #6 above with a pallet (non-treated) & planted lettuce and kale between the slats. Very happy with the results! Thanks for the great inspiration. I can’t wait for the day we have a yard and can have a garden! Great post! These are all so amazing! I am sending this to my husband. 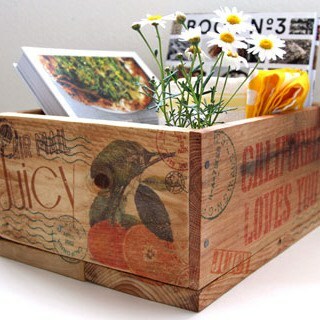 I want an herb garden so bad!! Love these ideas. Thank you. I LOVE these! I want to plant some raised beds so badly. I’ve been thinking a lot about doing the tire ones. They seem easiest if I can find enough old tires. I love the idea of this! My mom just put one in her yard, so I can’t wait to see how it turns out! 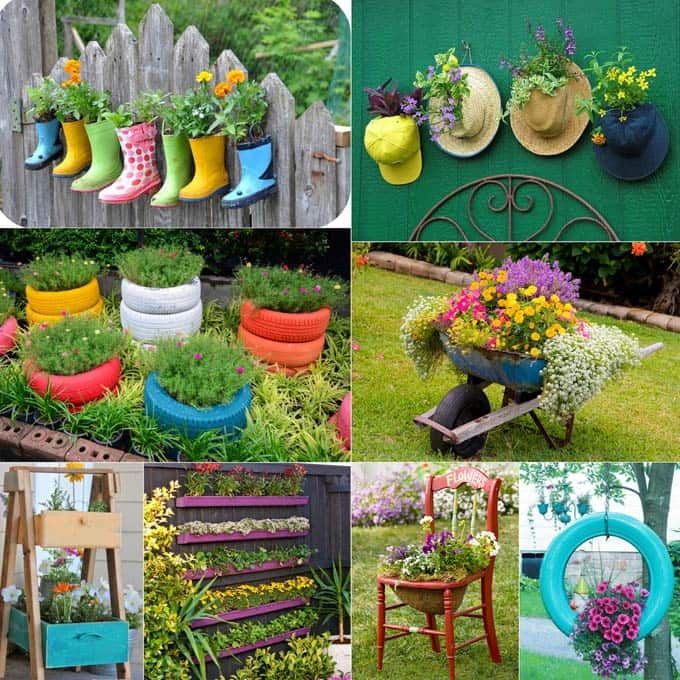 Wonderful bed garden ideas. I only have a small balcony but I love gardening. Love this! I have pallets and old tires laying around in the garage. I should do this! Pinning this to save. These are such great ideas. I LOVE the raised beds with the benches, what a great idea!! I have 4×4 raised beds in my garden and next year they’ll need to be replaced. I have some great inspiration for some new ones. Thanks so much for sharing! 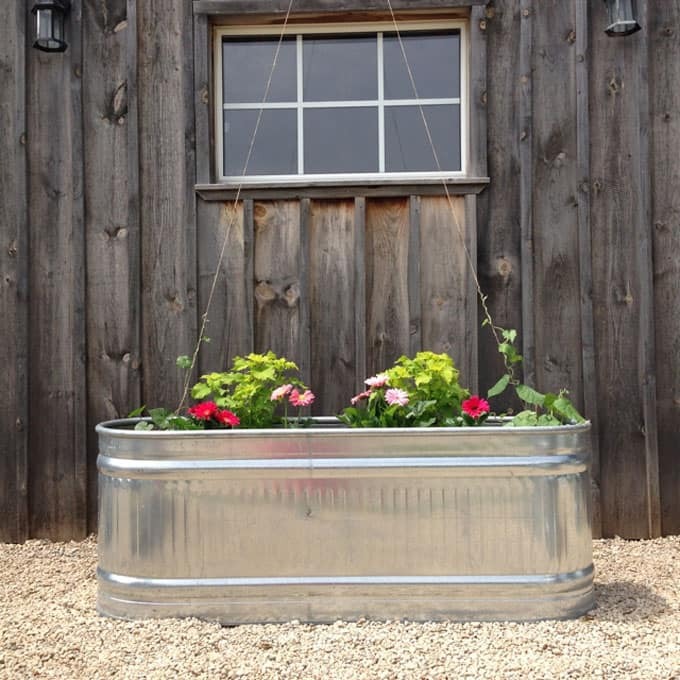 These are gorgeous and I have a dream of having raised beds in my backyard one day. However, I need to go to gardening school first, because I’m realizing I do not have a green thumb! Ha! Ooooh, very high tech, love it! There are some fantastic ideas in this post. 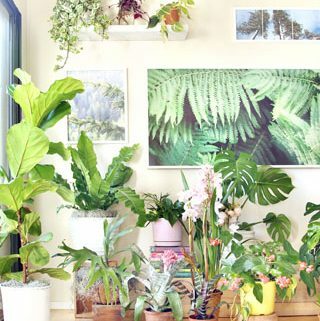 The Mister and I have been talking about revamping our beds (though that will probably be in the fall); I’ll have to share a few of these ideas with him. YES. I would like one of each please! 😉 Gorgeous list of raised bed gardens. I definitely need to invest a little bit of time in a few of them. My plants are getting too big for my pots already. Yikes! I LOVE LOVE LOVE all these ideas. They are great ways yo save a little bit of toil on your back also! Thanks for taking the time to share. It’s always easier when doing something with tutorial! Thanks for sharing it here! I’m trying to make some raised beds for my garden and I hope things work well for me with your guide! I like to comment on the instruction on how to build a raised bed. you should never use top soil it meant to be used to fill in hole in your lawn not raised beds you should use either garden soil or potting soil this give you vegetables ability spread their roots. I use a mixture of cow manure and garden soil, 3 parts soil to 1 part cow manure my plants love it. Wow! 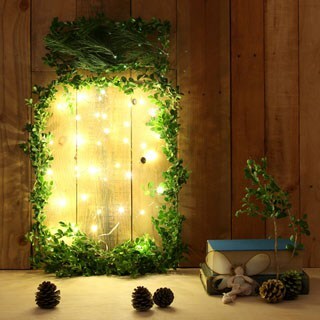 These ideas are so cool! Thank you for sharing! 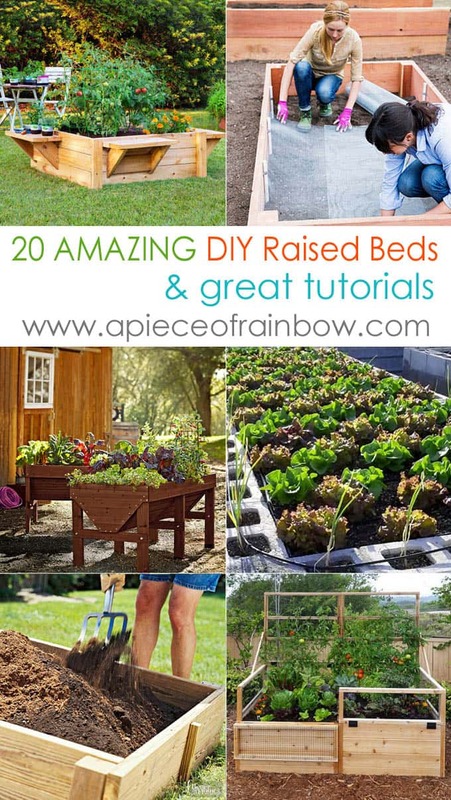 I wish I could DIY these raised bed garden as they did. Thanks for such inspiring post we will definitely be using some of these ideas for next planting season….we recently converted our planting area to raised beds and vertical gardening and what a year we’ve had! Much higher yield….here in Londo there are lots of places where you can get free pallets, we pulled them apart (mostly the husband lol) save the nails and build raise beds and much more. Thanks again!! hi marilyn, thank you so much for sharing your pallet adventures! 🙂 your raised bed garden sounds wonderful! best wishes!